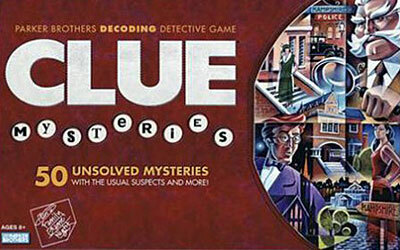 Return to the scene of the crime with this detective board game update, featuring six new suspects. Investigate fifty unique mysteries using a detective toolkit that features a spyglass, secret mirror, and decoding key. Decode secret clues from witnesses. Record clues in notebook. Discover the right clues, make your arrest and justice will prevail.